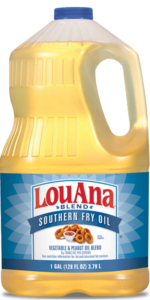 A thick and hearty taste of New Orleans, made with LouAna® Safflower Oil. *Chicken may be substituted for duckling. If using chicken instead, reduce roasting time by 15 minutes and first simmer time by 10 minutes. Preheat oven to 400°F. 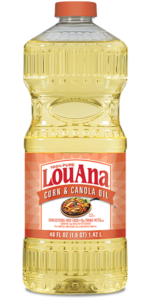 In a 12-inch cast iron skillet or heavy aluminum sauté pan, heat LouAna Safflower Oil on medium-high heat for 10 minutes. Then, slowly whisk in flour until completely incorporated. Cook for 15 minutes stirring constantly until roux begins to brown slightly. Place in preheated oven and cook for 1 hour, stirring every 15 minutes. Allow roux to cool before using in gumbo. 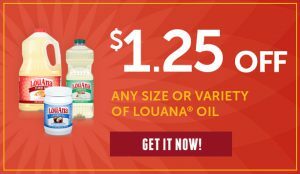 Can be stored in an airtight container in the freezer until ready to use. First, season duckling with 3 teaspoons of Chachere’s® Original Creole Seasoning, Worcestershire sauce and 1 teaspoon Tabasco® pepper sauce. Next, place duckling on baking pan and roast in 400°F oven for 45 minutes. Remove duckling from pan and discard fat. Add water to pan, scrape and de-glaze pan and add to 6-quart stockpot. Add roasted duckling to pot. Add to stockpot: roux, chicken broth, ½ cup onion, ¼ cup celery and ¼ cup bell pepper, garlic, remaining Cajun seasoning and remaining hot sauce, bay leaves, and sausage. Bring to boil, lower fire, cover pot and simmer for 30 minutes. Remove sausage from pot and allow sausage to cool, cut into ½ inch slices, set aside. Add remaining onion, celery, and bell pepper. Cover and simmer for an additional 30 minutes. Stir in sliced sausage, add salt and pepper to taste, continue to simmer uncovered for 15 minutes. Add mirliton (AKA chayote), cover, and simmer for additional 15 minutes. Stir in green onions and parsley. Serve each portion with ½ cup cooked rice. We’d love to see how it turned out. 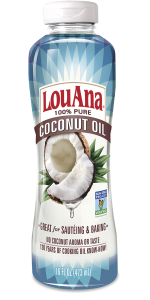 Tag your photos with #LouAnaCooking on Facebook or Instagram.